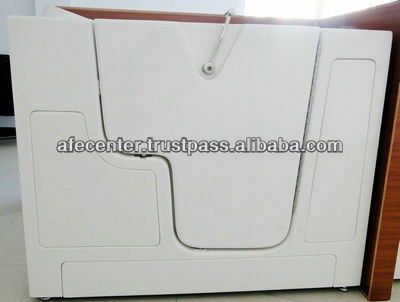 Portable walk in bathtub suitable for small bathroom. Drainage&over flow: Common or UPC approved drainage is available. 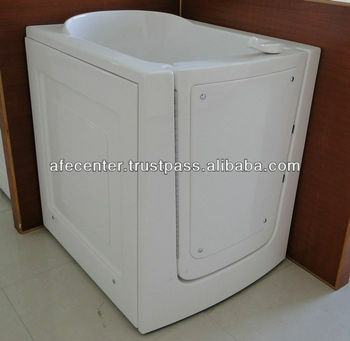 Tub certificate: tub system in LA warehouse have UPC certificate. We only produce walk in bathtub for 10 years! 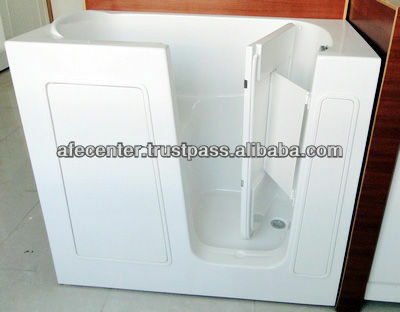 We are the first factory start producing walk in tub in China and only produce walk in bathtub in 10 years, factory now occupy 5000 squre meter. 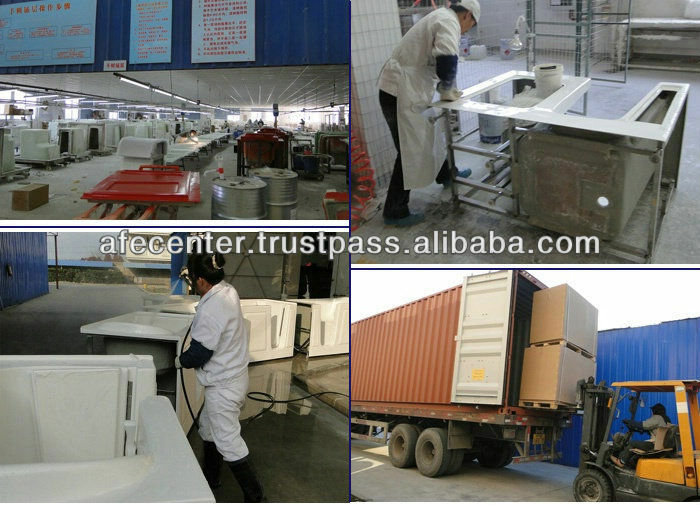 Having more than 100 workers and 25 office staff, we export 10 thousand tubs abroad every year and enjoy high reputation with customer in 10 years long time. As we have warehouse and office in USA in the name of AFE, it make buying from us more convenient for US customers. Manage all the worker and plant seriously under 4S system, every tub is tripple checked by experienced worker before sending to customer. We have a well record for every tub, with the name of operater in every step.Workers a rewarded or punished for the product quality. Our LA office is collecting the most fresh information always, details are updated according to the information.Every detail is controled according to the sprit of : always make it easy of end users. At least one new mould is made every two month with the result of information collecting. We supply very good after sales service. Any small problem is big problem in our eyes. Thus we never have big quality problem, and we rarely have small quality problem. Even tiny problems we will settle if for you. Any help urgently needed, we will cooperate urgently withtout bargain.We share high credit with you as AFE now means credit. PS: We offer life time replacement for the door seal.